PARRC is a committee comprised of 6 municipalities in the Pottstown Metropolitan Region, the Pottstown Area Health and Wellness Foundation (PAHWF), the Schuylkill River Greenway Association (SRGA) and a full-time Parks and Recreation Coordinator committed to improving the parks, recreational opportunities and open spaces in the Region. ACLAMO is the only full-service agency and safe heaven for Spanish speakers in Montgomery County. As a community service, the agency provides low-income Latinos and other disadvantaged residents of Montgomery County with improved access to resources and programs in education, health, employment, housing, and social services, especially those with limited English living in core residential neighborhoods of Norristown and Pottstown. PAL is a 501(c)(3) organization offering sports programs to the youth of Pottstown Area since 1985. PAL offers Wrestling, Baseball, Flag Football, Tackle Football, Cheerleading and Dek Hockey. PAL programs serve 700+ children each year. We are the official tourism agency of Montgomery County and promote events throughout Montco. We are a National and State Heritage Area located on College Dr. in Pottstown. 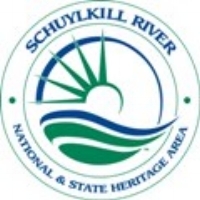 We seek to connect people and communities to the Schuylkill River and the Schuylkill River Trail. The Carousel at Pottstown would love to have you stop in and take a spin. Admission is free, parking is free, and rides are only $2.00. While there, enjoy some refreshment at our beautifully restored 1865 horse drawn Trolley snack bar and try your luck on some of our arcade games. Visit us today to see this beautiful piece up close. We are the municipal government of Pottstown. Through the Parks and Recreation Dept. we host a number of recreation activities of regional interest for all ages. The Pottstown YMCA, serving the surrounding communities, offers a wide range of programs for children, teens, adults and seniors including swim lessons, youth programs, fitness, personal training, a variety of group exercise classes, water aerobics, child care and day camps. Not only is the Pottstown Y the place for you to stay active and healthy, but is a safe, fun environment to make new friends and volunteer to help others. We offer Youth Sports Classes for kids as young as 18 months to 14 years old and Summer Camps for kids ages 5-13. Our programs cover a variety of sports, including basketball, soccer, field hockey, dek hockey, flag football, and more. The Althouse Arboretum, run by GreenAllies, is a 17 acre open space property used to promote environmental preservation and education for an entire community and beyond. The Arboretum boasts Children’s Forest Trail, Native Plant Garden, Raised Garden Beds, Two Forest Classrooms, 1 mile + of hiking trails, Low Ropes Course, Summer Camps, scheduled community activities and more!